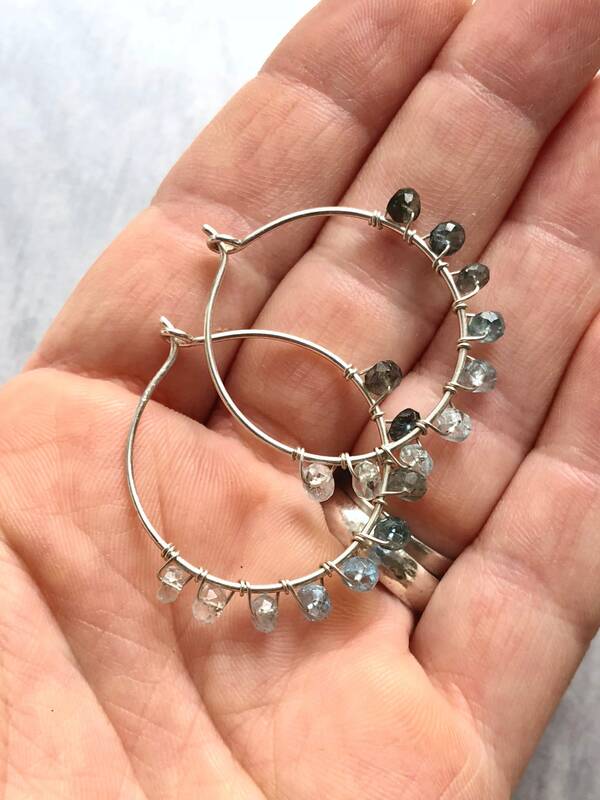 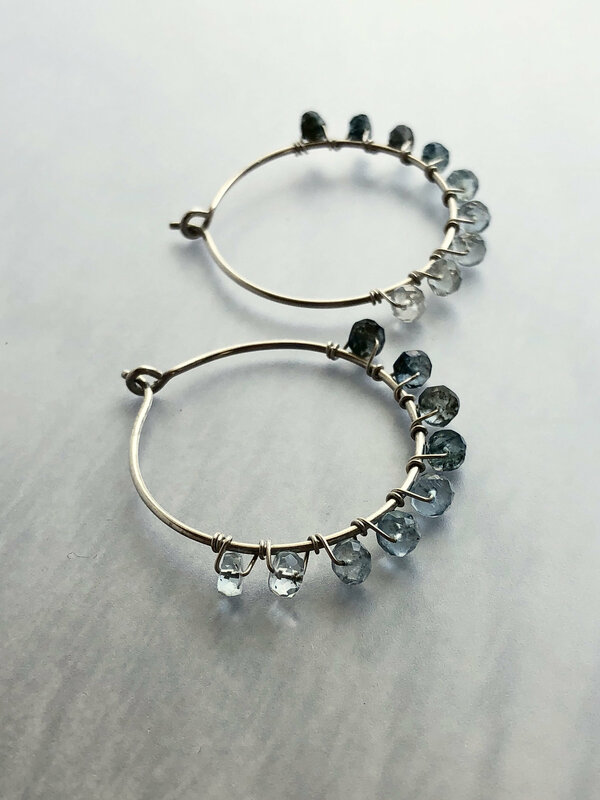 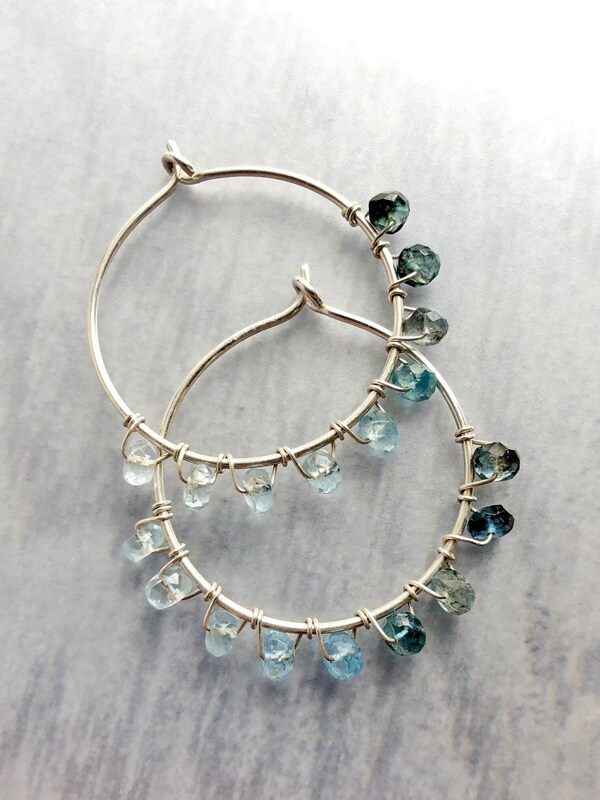 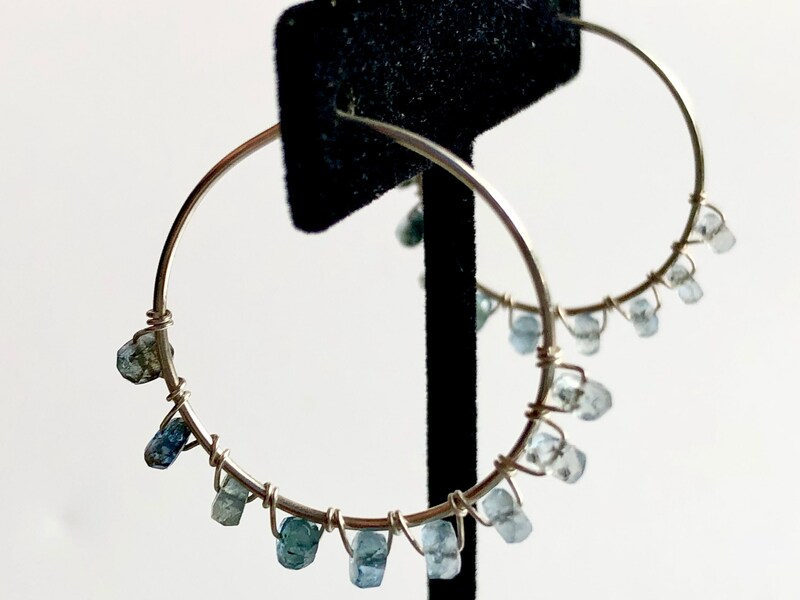 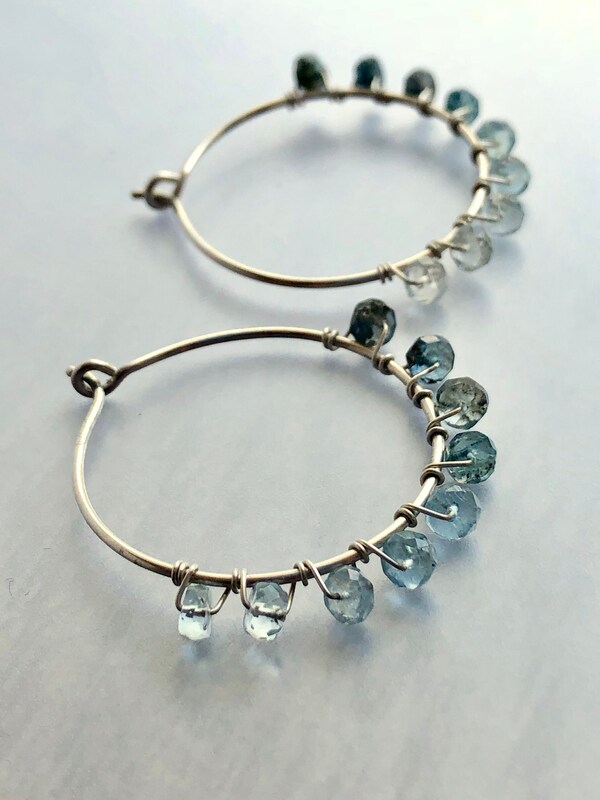 Faceted moss aquamarine rondelles are wire wrapped onto a sterling silver hoop in an ombré shaded progression. 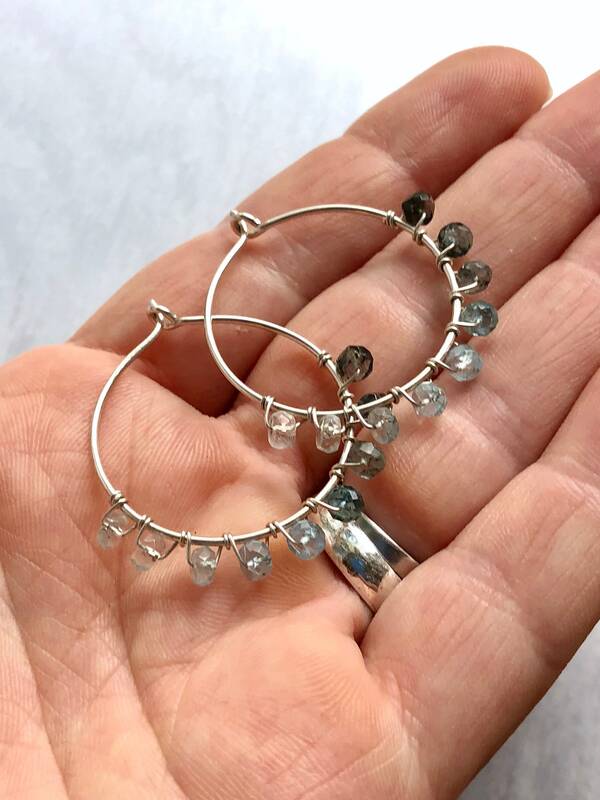 These earrings are made with argentium sterling silver, which resists tarnish. 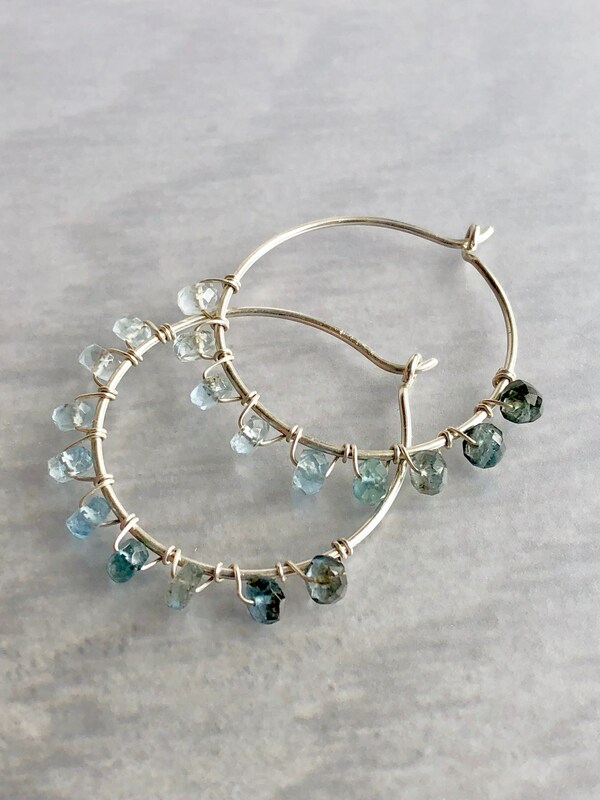 • The moss aquamarine rondelles range in shade from pale blue to deep greenish-blue. 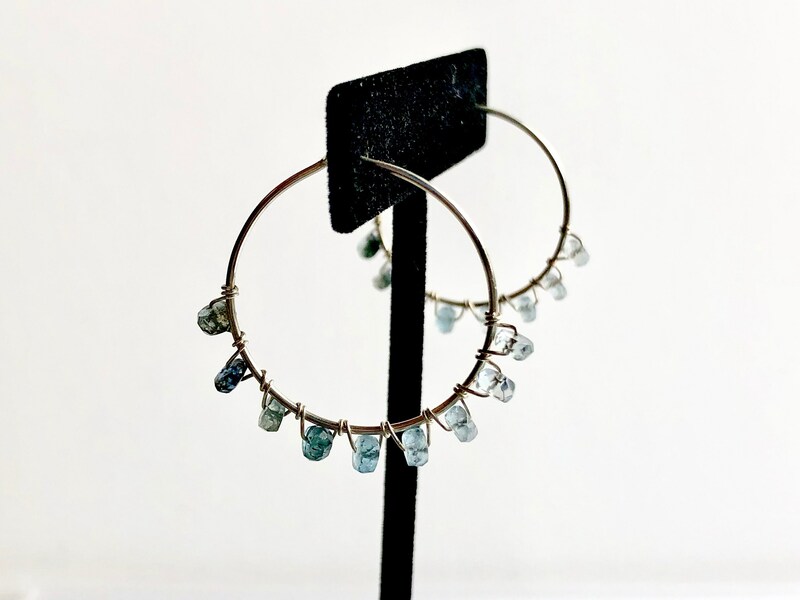 • The hoops are approximately 1.25” in diameter.